David Crozier has significant global technology and cyber security domain expertise developed at CSIT over the last 7 years. CSIT is the UK’s Innovation & Knowledge Centre for cyber security. In his current role, David leads on developing global, national and regional strategic partnerships with public sector organisations, industry, academic institutions and ecosystems with significant interests in cyber security. A founding Partner, David was board appointed President of the Global Ecosystem of Ecosystems Partnership in Innovation and Cybersecurity (Global EPIC) in 2018. 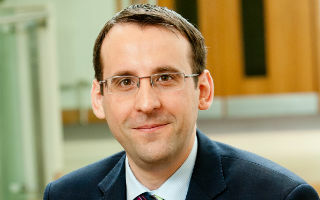 He co-authored the Northern Ireland Cyber Security Framework for Action published by the NI Department for Finance in April 2018 as well as the UK Cyber Security Sectoral Analysis for the UK Department for Digital, Culture, Media & Sport (DCMS), published in October 2018. David curates and co-chairs the annual CSIT Cyber Security Summit, leads on the Centre’s marketing and communications activity and has advised the Northern Ireland Organised Crime Task Force Cyber Crime Group since 2013.